Over the past two decades, scientific evidence from government, academia, and nonprofits has documented these problems. The landmark 2000 surgeon general’s report, Oral Health in America, called the nation’s poor oral health status a “silent epidemic” characterized by disparities in health status, access, and unmet needs.4 Reports from the National Academy of Medicine, the US Health Services and Resources Administration, the Kellogg Foundation, the Pew Charitable Trust, and others have expanded our knowledge. While more is to be learned, the evidence is abundant. The Social Strategy—What Can Be Done? National, regional, state, and local organizations have recently started working on policies and political strategies to address these needs. Their overlapping strategies fit three categories: access, workforce, and community. The access goal is to expand coverage for everyone without dental benefits in Medicare, Medicaid, and private insurance—a formidable challenge. Today, 33% of Medicare enrollees are covered for routine care when enrolled in a private Medicare plan; the other 66% can obtain care only for needs linked to emergent nondental medical conditions. In Medicaid, coverage for adults needs to be required as it is for children; right now, adult coverage is a state option. In private health insurance, dental coverage is an “essential health benefit” under the Affordable Care Act for children but not adults. Addressing these gaps requires congressional action, an expensive and difficult proposition. Workforce strategies address inadequate numbers of dental health practitioners serving vulnerable populations—especially Medicaid enrollees, lower-income seniors, institutionalized individuals, and rural residents. One popular solution is to train and license “dental therapists,” or midlevel professionals, like nurse practitioners, who can deliver basic care to underserved populations. Though opposed by national and state dental societies, state governments are increasingly sympathetic to this direction. Recent and surprising integration boosters include large insurers such as UnitedHealth, Aetna, Cigna, and United Concordia/Highmark, each with studies showing that dental coverage for those with chronic diseases such as diabetes and congestive heart failure can pay for itself in reduced medical costs. Avalere found that medical costs were 29.8% lower for diabetics, 19.8% for those with heart disease, and 37.8% for stroke victims when patients had access to periodontal treatment. Though some suggest insurer conflict of interest here (most market and sell dental coverage), this is a compelling development. On the community front, the strategy is to expand community water fluoridation and extend dental health services to schools and settings that reach disadvantaged populations. 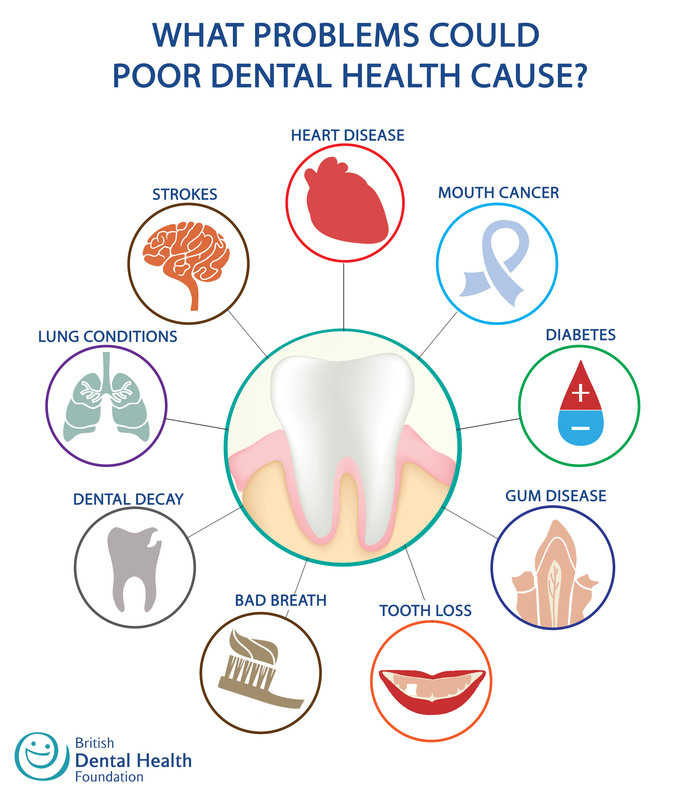 For 5 years, Boston’s DentaQuest Foundation (an arm of the Delta Dental insurance company) has been nurturing state and local coalitions as oral health change agents. Recently, they contracted with the Washington, DC, advocacy organization, Families USA, to begin to place oral health on the national policy agenda. The Oral Health Foundation is readying a national campaign to add full dental coverage to Medicare. The Santa Fe Group is pushing the federal Centers for Medicare and Medicaid Services to use their statutory authority to expand their definition of Medicare-covered dental services. None sees this as a quick effort. Traditionally, the American Dental Association has been an ardent opponent of public dental coverage. But organized dentistry is changing as solo and small group practices erode in the face of growing large group practices. Organized dentistry has had the antigovernment instincts of small business for years. Whether it is changing sufficiently will be key for the success of this effort. Margaret Mead said: “Never doubt that a small group of thoughtful committed citizens can change the world; indeed, it’s the only thing that ever has.” Today, it’s a small group of organizations and individuals who are committed to changing the US oral health landscape. Though it is too early to say, their efforts deserve respect and attention. Wilcox LS. Worms and germs, drink and dementia: US health, society, and policy in the early 20th century. Prev Chronic Dis, 2008;5(4). http://www.cdc.gov/pcd/issues/2008/oct/08_0033.htm. Accessed September 30, 2016. O’Neil E, Ngai S. An opportunity for reform in oral health service. Am J Public Health. 2011;101(10):e1-e3. Reese-McLaughlin N, Auerbach D; Massachusetts Health Policy Commission. Oral health access and emergency department utilization for avoidable oral health conditions in Massachusetts. http://www.mass.gov/anf/budget-taxes-and-procurement/oversightagencies/health-policy-commission/publications/oral-healthpolicy-brief.pdf. Published August 1, 2016. Accessed September 30, 2016. US Department of Health Human Services. Oral health in America: a report of the surgeon general. Rockville, MD: US Department of Health and Human Services, National Institute of Dental and Craniofacial Research, National Institutes of Health; 2000. Donoff B, McDonough JE, Reidy CA. Integrating oral and general health care. N Engl J Med. 2014;371(24):2247-2249.